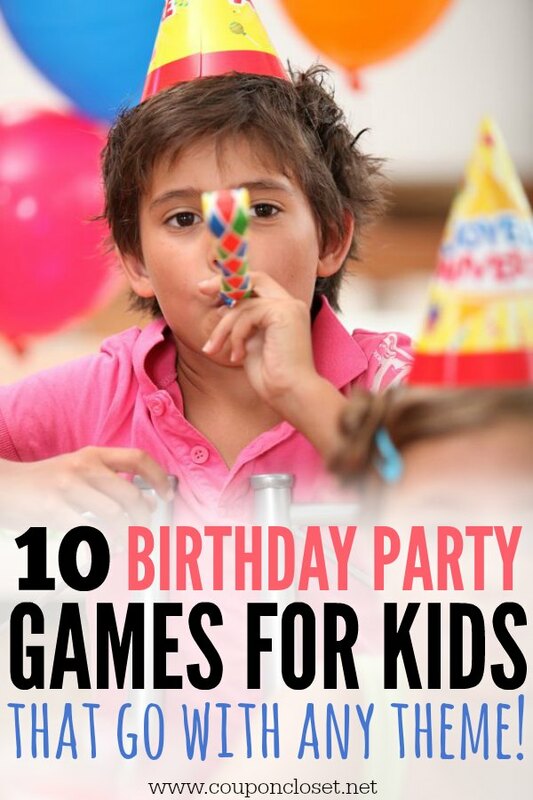 10 Birthday Party Games for Kids that will go with any theme! Call me crazy, but I love kids’ birthday parties! I love planning them with my kids and of course the day of is always so much fun. One of the most pivotal pieces of a kids’ birthday party are the games! Yes, the cake is important (I love making the cakes, too) and the the kids, of course, is important. More than likely, though, most of the kids will remember the games. Believe it or not, we end up playing a lot of the same games during each of our kids parties. 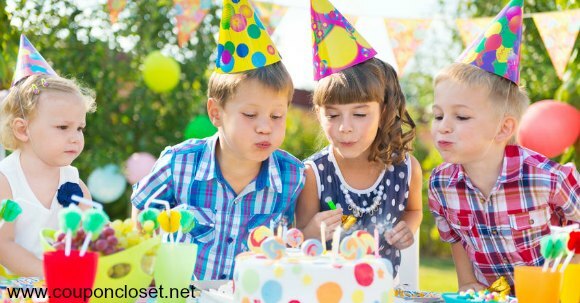 I want to share with you 10 birthday party games for kids that will go with any theme. These are all so easy! Most of them require very few (if any) materials and only a little bit of planning. Birthday Party ideas for preschoolers to tweens! I don’t care how old you are. You are going to love these games. 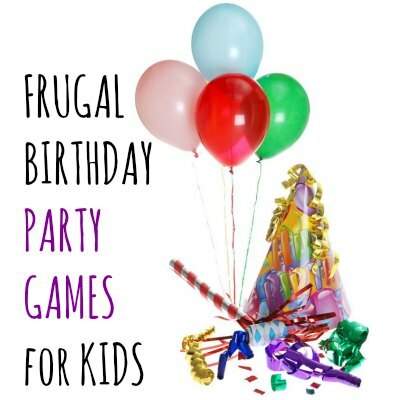 We even find 12 and 13 year olds having just a much fun with these frugal and classic birthday party games. This is such a classic game and it is one of our kids’ favorites! I honestly cannot remember the last birthday party we had when we did NOT play this game. This game is great for all ages, too. Believe me when I say that even the older boys have fun with this game. 😉 There are 2 easy ways to “personalize” this game to make it fit your theme. First, download music appropriate to your theme. For example, for our Minecraft party, we downloaded pop songs that had been altered with Minecraft lyrics. The boys thought these were hilarious! We also used a stuffed Minecraft toy like this to play “hot potato” with. You can adapt this game to fit any theme with any song and any “hot potato” item. Talk about a classic game! We did this a couple of years ago during an Octonauts party. I was so excited how much fun all of the kids had. We had kids from age 3 through… adult. That’s right, we even had a round of adults hop in a sack down to the finish line. I simply bought some cheap pillowcases from Walmart (use king size for kids older than 5). This is so easy to tailor to any theme – I bought some ink jet iron-on paper and I printed pictures of different Octonauts on each pillowcase. This is not necessary, but I thought they looked cute. Whether you have a party to plan for boys or girls, freeze dance is a fun birthday party game for kids. Just download some music that fits your theme and play away. In order to get this game to fit your party you can pick what pose the dancers will freeze in. For example, for a Cinderella party you can have the dancers freeze in a princess pose or for a Spiderman party, you can have dancers freeze in a super hero pose. There are so many different options here you can make this fit any theme. This is a fun game for outside play. All you have to do is split the party-goers into two teams. Have each team link arms and stand on opposite ends of the yard (about 10 yards apart). Have the teams take turns calling a player from the team. The traditional words are, “Red Rover, Red Rover, Send ______ Over.” You can easily change the wording. Let’s say you are having a Frozen party, you can have the teams yell, “Princess Anna, Princess Anna” or “Queen Elsa, Queen Elsa”. The possibilities are endless. Before you say this is a “boys game”, you’ve probably never seen girls play tug-o-war before. We’ve seen many girls pull and fight just as hard to win this game as the boys do. All you need here is a long rope and a cone or something on the ground to mark half way. The first team that gets pulled over the half way line loses. If you want to make this game fit your theme, you can change the name to “Tug-o-Minion” or “Minion War” for a Despicable Me party. You can even keep the tug-o-war name and just name each of the teams to fit your theme. This is a fun game, but watch out for the super competitive kids. This game can get very serious very quickly! 😉 Just download any music that fits your theme and you’ve got yourself a game. If you do not have enough chairs to support all of your attendees, try using something different like having players stand on pieces of paper (this can even be a coloring sheet of characters from your theme). Just make sure the person controling the music is not watching the game. You want it to be fair after all. This is a really fun game, but I feel like I should warn you – it gets VERY loud! Blow up about a dozen balloons in 2 different colors. In about half of the blown balloons, you can place a piece of paper with a character that fits your theme. For example, for a Doc McStuffins party you might have pictures of Hallie the Hippo and Lambie the Lamb. Half of the balloons should have a piece of paper with a picture of the character and half of the papers should be blank. Split your party participants into 2 teams. Teams compete against each other to see who can find all of the pictures of their character. Kids from each team take turns popping balloons until all of their characters have been found. Did I mention this gets loud? This is another fun outside game. You can appoint the birthday boy or girl to be the “caller”. Have the rest of the kids line up on one end of the yard. With his/her back turned to the rest of the party, the caller shouts out Red Light (means stop) and Green Light (means go). The first player to reach the caller wins. To make this game fit your theme, you can simply change the name. Let’s say you are having a Minecraft party. You can call this game “Red Block, Grass Block” or “Creeper, Enderman”. As long as one of your words means go and one of your words means stop, you can change the words to whatever you want. Talk about an oldie, but a goodie. The birthday child will love playing the role of Simon and telling all of their friends what to do! Again, it is so easy to make this game fit any party. If you are having a Lego Movie party, maybe instead of Simon Says, you can call this Vetruvius says or Lord Business says. Did I mention I love planning kids’ birthday parties? 😉 Hopefully, you’ve seen how easy it take any birthday party games for kids and adapt to any themed party you are hosting. I love that most of these games require few, if any materials and planning. Another bonus to creating your own titles to these standard games – getting the birthday kiddo involved. If your kids are anything like mine, they are going to have a blast coming up with names for these games. What games do you like to play at your kids’ birthday parties? 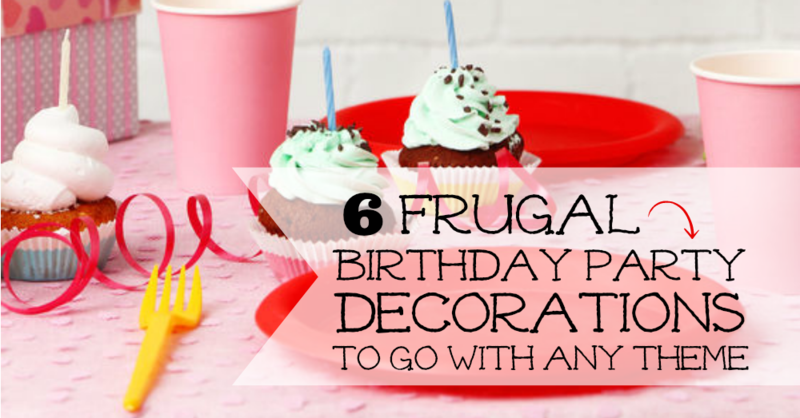 Throw a fabulous party on a budget with these FROZEN BIRTHDAY PARTY IDEAS. Easy DIY Baby Wipes that you can make for less!